When I think of Caspar Brötzmann there are always two things that pop in my mind: a short article in the German SPEX magazine including the phrase: “When Jimi Hendrix died Caspar Brötzmann was there and ate up his body”; and Jens, a friend of mine, who was at a concert of Brötzmann’s band Massaker in the 1990s with me and who was terrified and apparently tortured by their brute force, stammering: “This must be the soundtrack for the bombing of Sarajevo”. And there is some truth in both statements indeed. Brötzmann is deeply influenced by Hendrix, in a way that he even plays a left-handed Fender Stratocaster (although he is right-handed) and that his sound is an art-metal variation of Hendrix’ Woodstock version of “Star Spangled Banner” – which brings us to my friend’s quotation since Hendrix then had deconstructed the American national anthem by imitating and integrating sounds of war. Brötzmann goes even further and creates an atmosphere of enormous brutality but also of breath-taking energy and strange, fascinating beauty with his guitar. The band’s wall of noise reminds of Napalm bombs detonating, jets overhead, air-raid warnings, buildings crumbling down, even the cries of humans in pain. The album consists of four tracks, simply titled “One” to “Four”, and it presents a consistently conjugated set of the above mentioned elements in which the musicians (the rhythm section are Full Blast’s Marino Pliakas on bass guitar and Michael Wertmüller on drums) succeed in building up an almost monstrous, intimidating soundscape which smothers the listener with excessive drones. 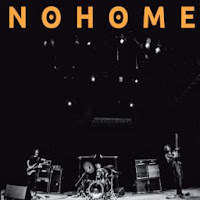 Compared to his old band Massaker, Nohome is even more refined. Pliakas’s distorted bass does not only deliver a magnetic pulse but also serves as some kind of rhythm guitar, while Wertmüller’s drums are a constant barrage and therefore an ideal background for Brötzmann’s feedback orgies. His guitar howls and screams in sheer torment, apparently deeply hurt, as if it has seen the bottom of an abyss, the heart of darkness, the hell of war. Of course this is not jazz, it is rather free rock in the tradition of Sunn O))) or experimental Sonic Youth stuff. 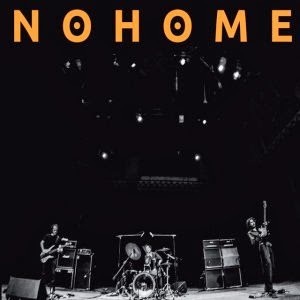 Caspar Brötzmann has slipped of my radar working for theatre productions in the past few years, it’s good to know that he is back (there are also rumors about a new Massaker album). Play it loud, of course.